Very, very big. Like way bigger than the new World Trade Center big. Like almost double the world's tallest tower big. If you combined all the iPhones ever sold into a single gigantic monolith of a phone, it'd be 5,059 feet tall and 2,846 feet across. Ridiculous! That was the calculations to figure out the area of the beastphone but to calculate the dimensions, he needed to jump through more hoops. 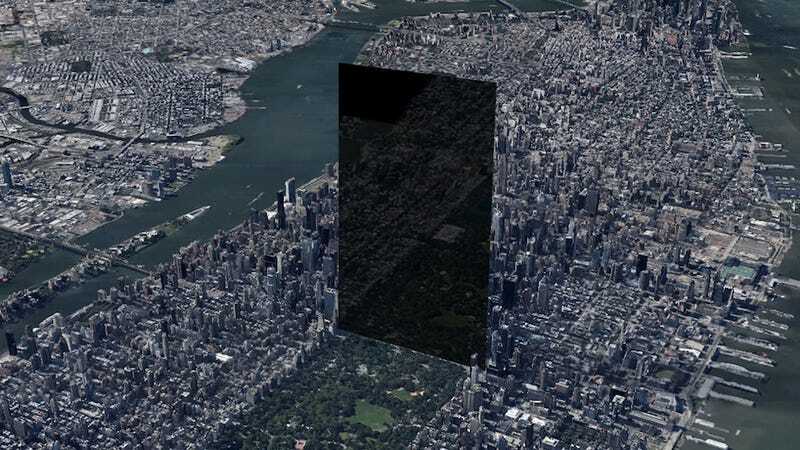 Comparatively speaking, the giant iPhone would be wider than Central Park (2,846 feet vs 2,640 feet) and its surface area would dwarf the new World Trade Center (330.54 acres vs 23 acres).